We are dedicated to a better global future that works for all. Our contribution is facilitating this profound change within organisations and their people in a way in which everyone benefits and literally flourishes. What does a ‘systemic approach’ mean? It means we serve the interests of the whole system that includes your organisation. Our systemic approach sees and works with the whole in a way that honors whole people, whole teams and whole organisations – and the relationships inbetween those subsystems to deliver tangible results. Because 70-90% of all organisational change initiatives fail, we have developed a new approach that generates greater success. It is founded on a new wisdom developed from understanding living systems. The organisation is a ‘machine’ like mechanism. The organisation is more akin to a ‘living system’. Cultural change is an object that can be pre-determined, planned and project managed. Cultural evolution is a continuous, natural and emergent quality of every organisation – we can influence it, but not control it. Leaders in authority decide the nature of the required cultural change and can impose it on others. Wide participation is a pre-requisite for profound change to emerge – it’s an inside-out process involving the whole organisation. Change the whole culture by changing each individual – the whole is no more than the sum of the parts. The whole organisation includes the pattern of interrelated unconscious assumptions that have developed over time within the organisation (culture) – these also need to be influenced to evolve the culture. The relationships between the parts are just as important as the parts. We identify leverage points where small changes can produce disproportionately larger outcomes over time. We work with your purpose, your vision and your values. The outcome of our work is the development of your individual and organisational capacity to influence the ongoing evolution of your organisation’s culture in a way that enables new futures to flourish. Our people are all committed to our vision and purpose. nurturing ourselves so that we each individually flourish and our work for our clients continues to flourish. Josie is the creative director of The Partnership and leads client liaison, program development and delivery. In 2017, Josie completed her PhD thesis exploring how sustainable and sustaining organisations may be formed. Her thesis was awarded a Dean’s Commendation for Doctoral Excellence. 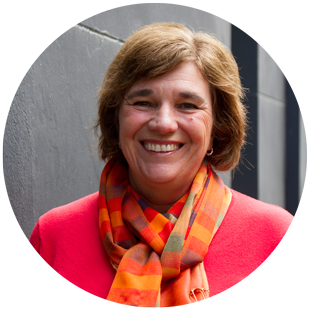 Josie is also internationally recognised as a speaker and coach (recipient of 2009 ICF global President’s Award). You will hear Josie’s laugh before you see her approaching. Sam leads two professional lives. 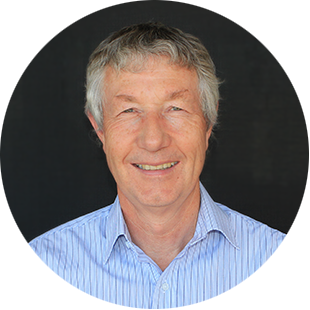 He is a senior consultant with The Partnership and resident custodian of all matters related to ‘complexity’. Sam supports Josie in program design and consults, facilitates and assists development of our team of consultants in program delivery. 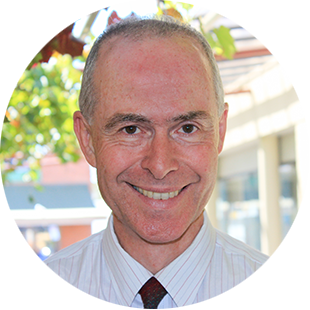 Sam’s other professional life is as Academic Director of the MBA and Senior Lecturer in organisational behaviour and systems thinking for managers at The University of Adelaide. After a ‘corporate life’ as a Materials Engineer combined with sales and marketing experience in the steel industry, Duart now applies his strengths for market development and organisation to keep us growing our impact, on time and within budget! He enables program delivery with a great sense of humour. 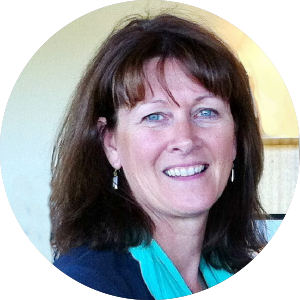 Carole is a qualified teacher and has been at the fore-front of online and blended learning. She is well experienced in developing online learning environments for adults. Carole also brings her facilitative capacity to us. She is innovative and pragmatic – and works really fast! Our clients have noticed the difference between organisational values that hang on the wall and those that live a breathe in their day-to-day operations. We liberate the dormant potential in these organisations by engaging everyone, hearts and minds, to evolve the organisational culture. Realising that by embracing an organisational purpose that contributes positively to the common good, they will flourish. Recognising that organisational culture and its embedded values need to evolve to support that profound shift to shift from survival to flourishing. Seeking to understand how to engage their people to lead these profound changes. Many of our clients range from local government organisations and not-for-profit organisations through to high-tech manufacturing and community banking organisations. We are keen to engage with businesses, large and small, who see themselves in the above description. Our major points of contact are typically the CEO, managers of People and Culture, and Sustainability, though we encourage contact from any changemakers within an organisation. We have been consulting on leadership and adaptive change to nurture human environments that flourish for more than a decade. Our programs deliver success systemically. So benefits are apparent on at least three different ‘levels’: individually (both personal and professional development); across teams (engagement, productivity and relationships); and organisationally (culturally). The level not as strongly represented in this appreciation of outcomes is the influence our work has as our clients go about their work. But you will hear it mentioned. We value it greatly – and of course so do our clients!